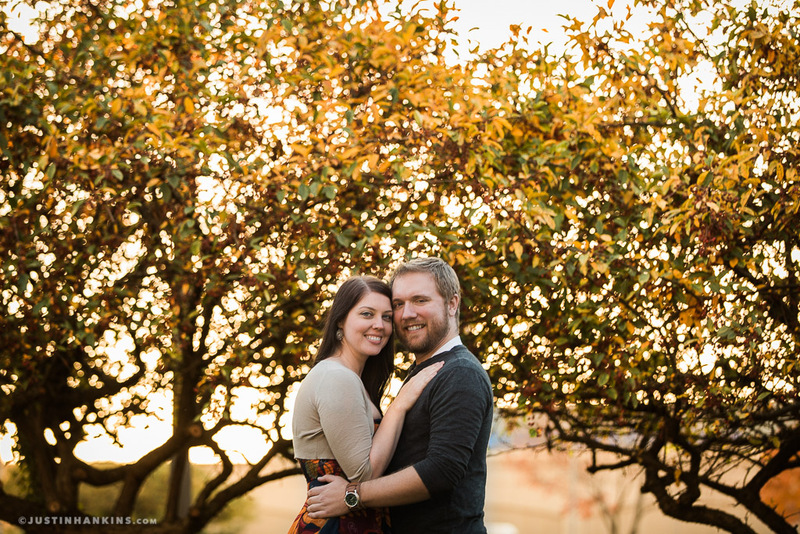 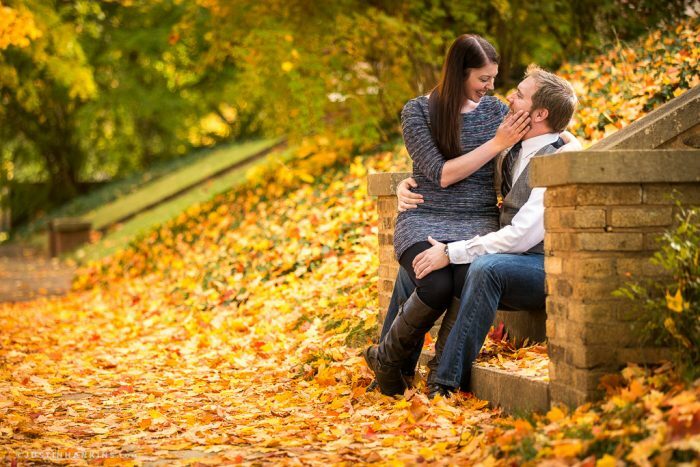 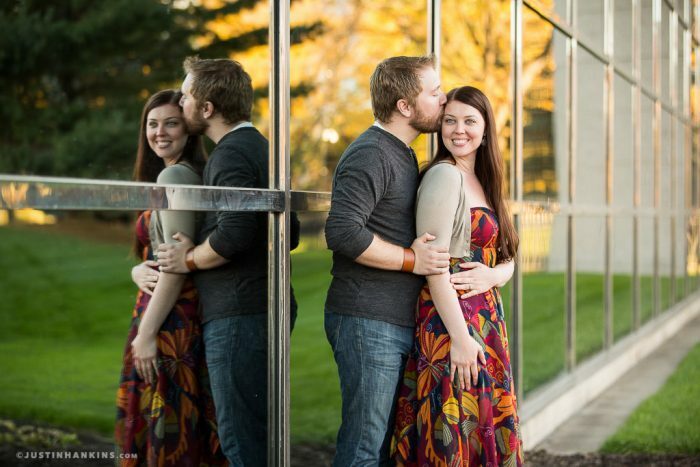 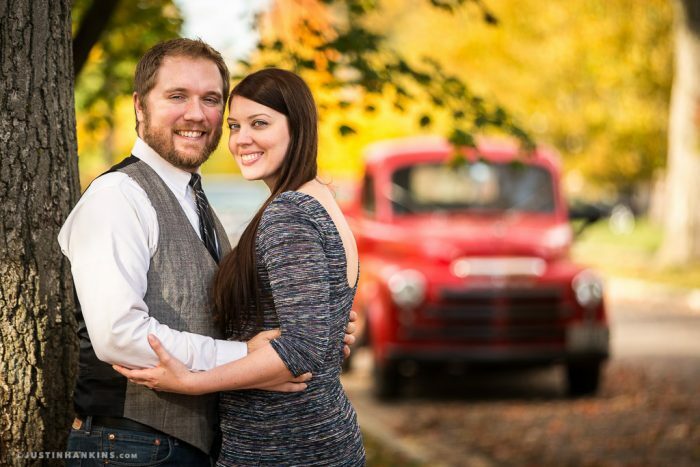 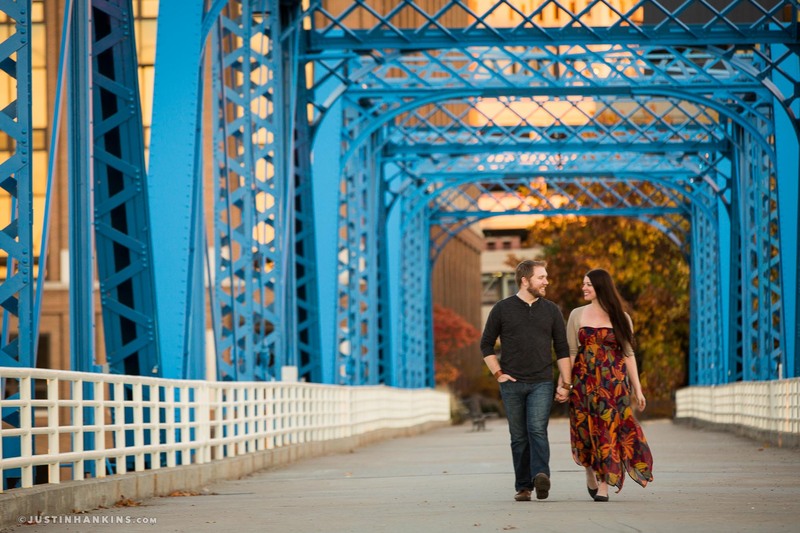 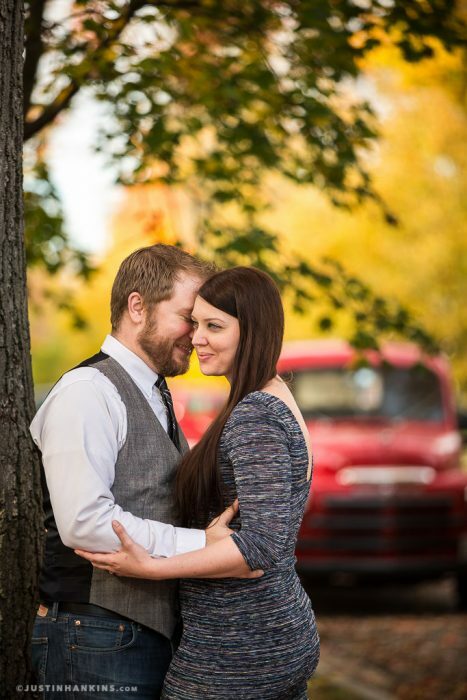 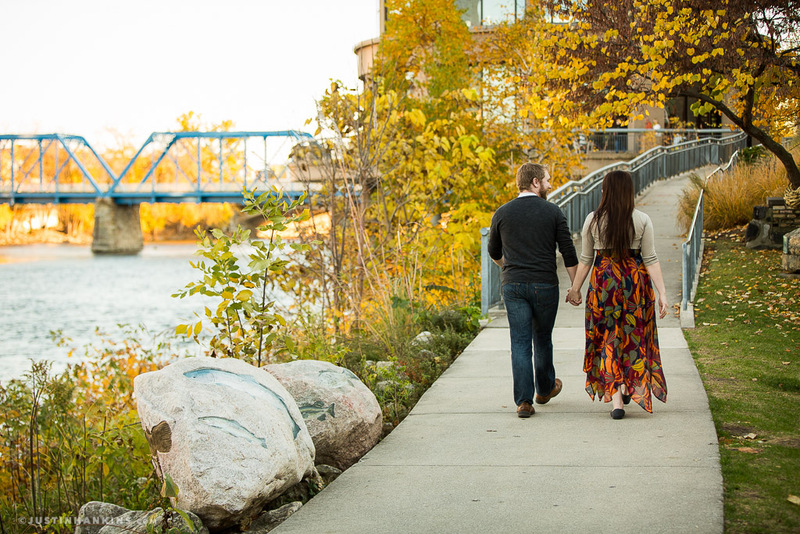 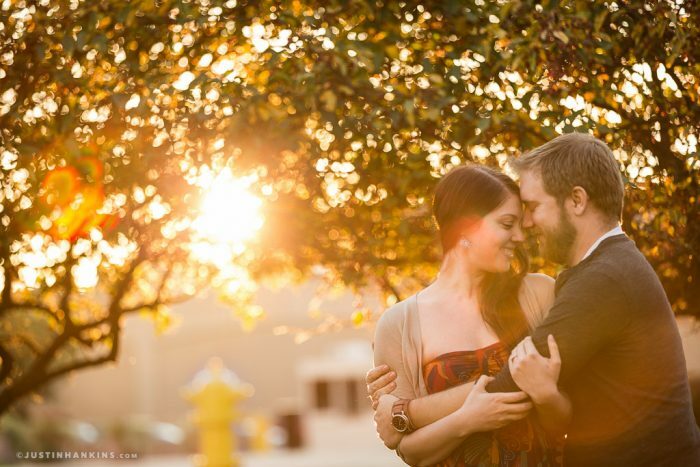 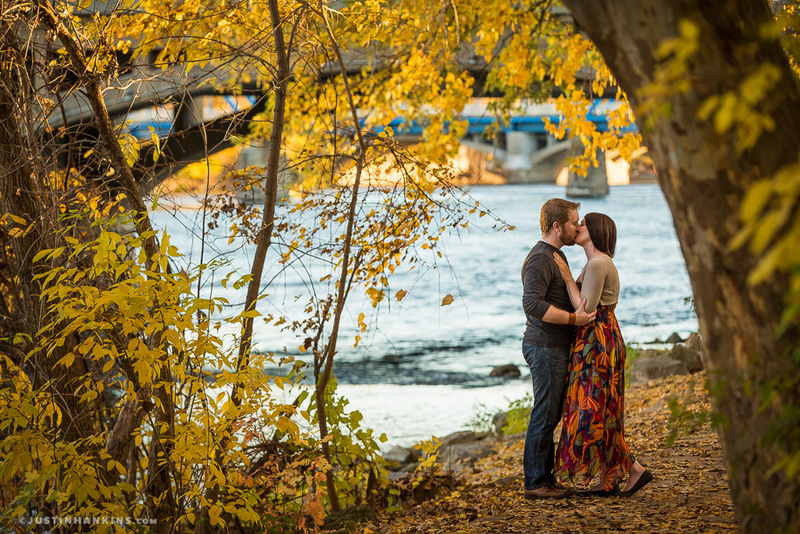 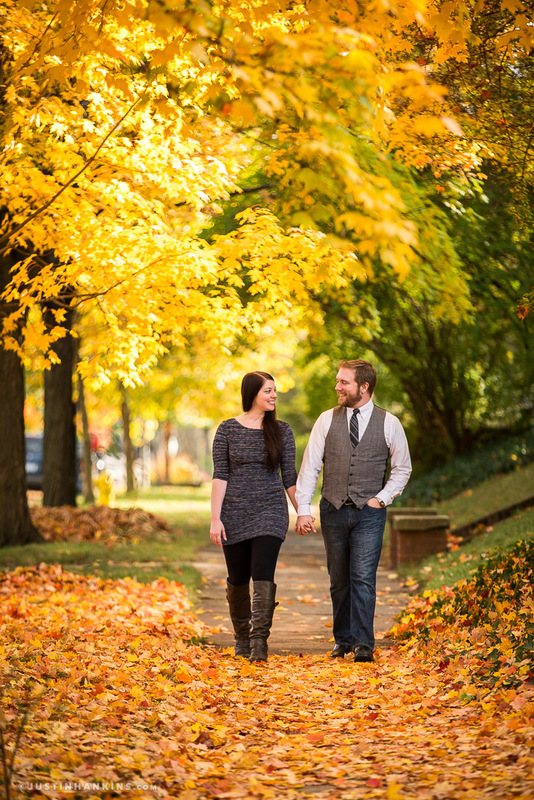 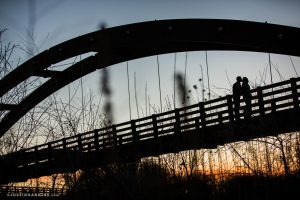 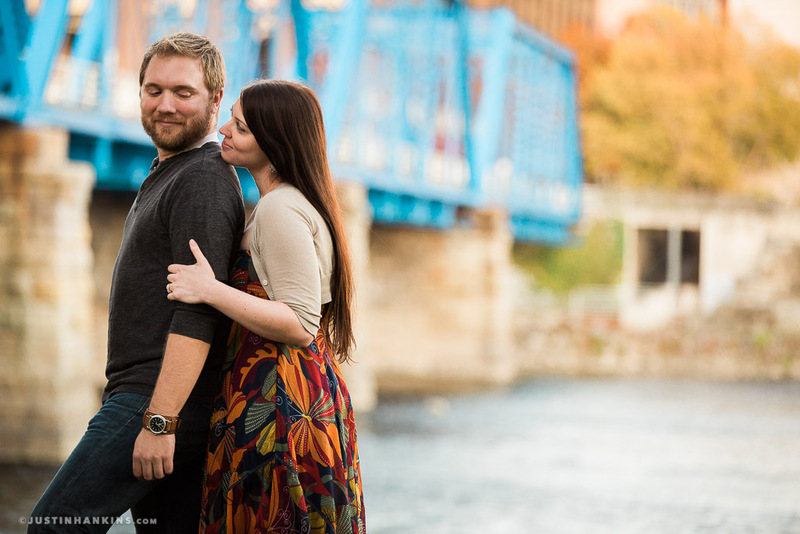 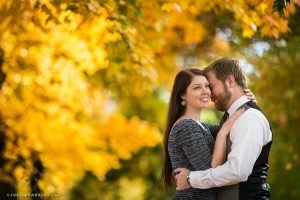 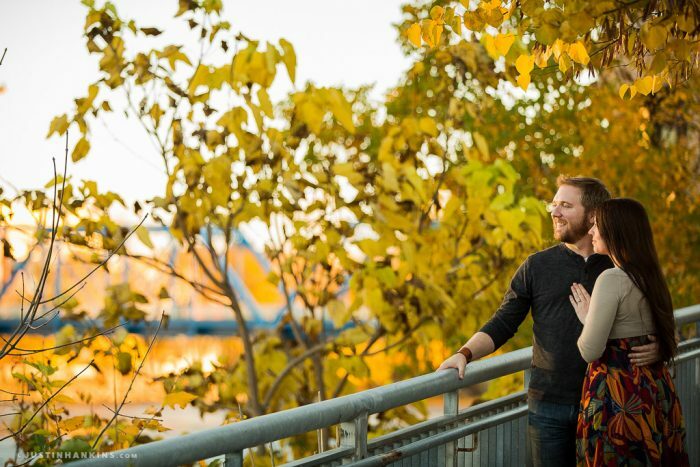 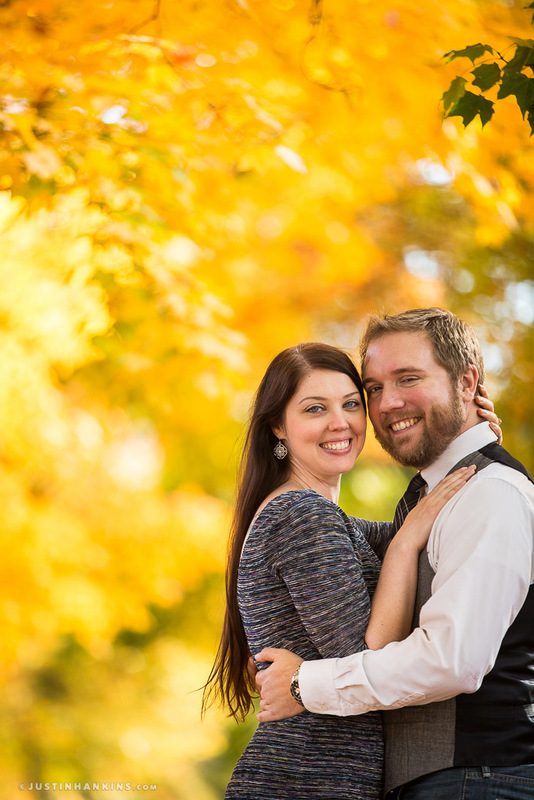 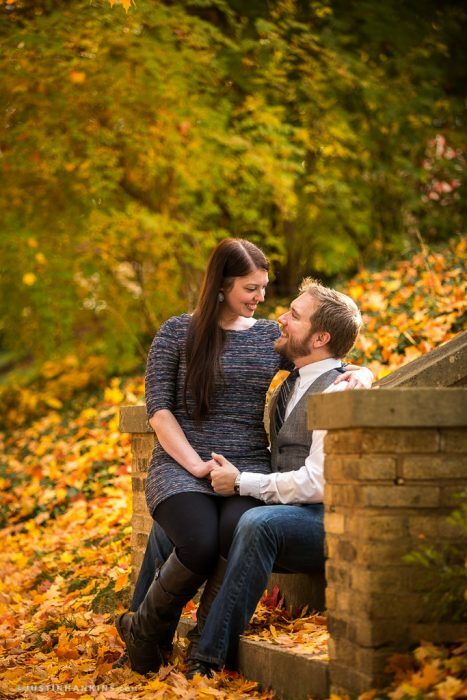 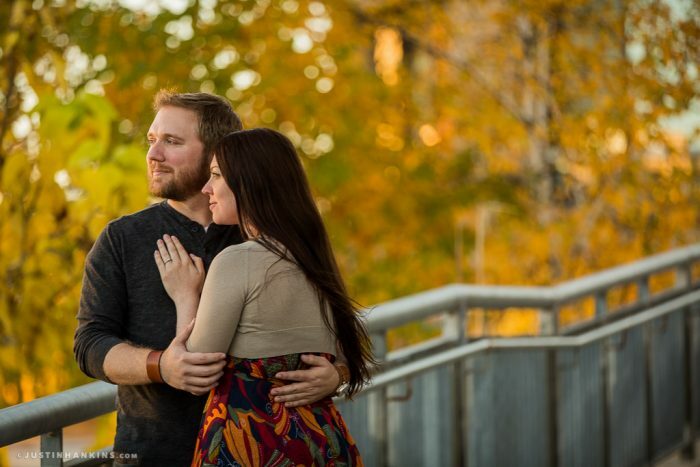 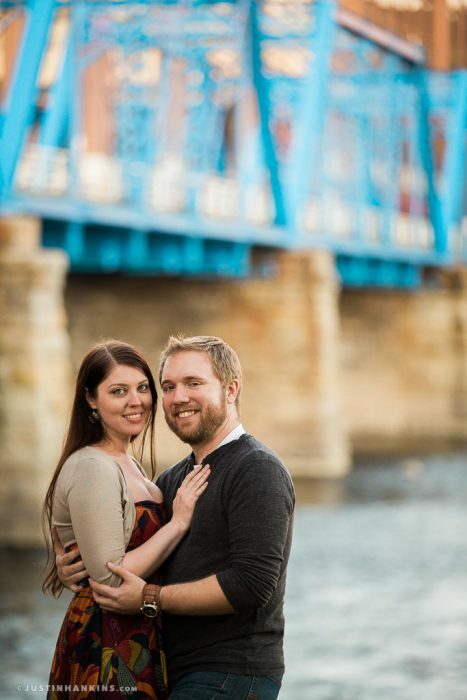 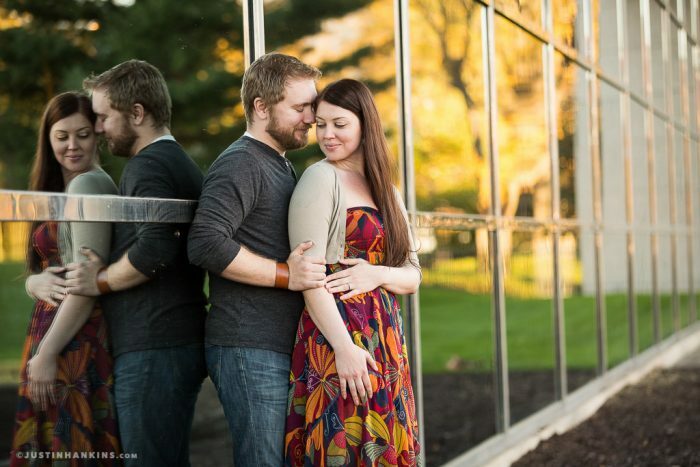 Here are some images from Chantelle & Matt’s engagement portrait session in Grand Rapids, Michigan. 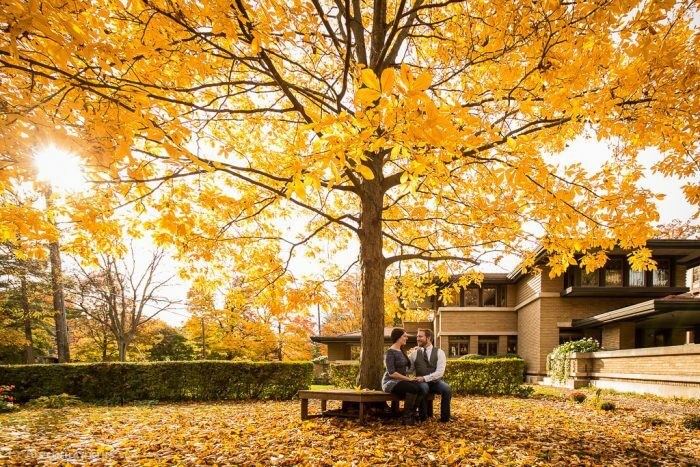 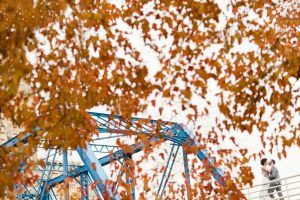 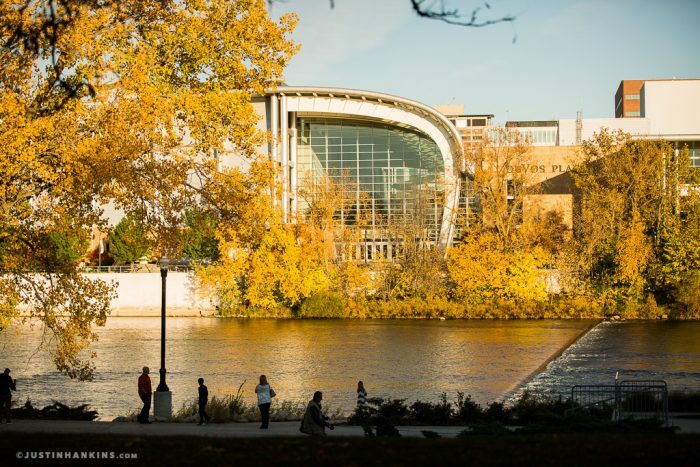 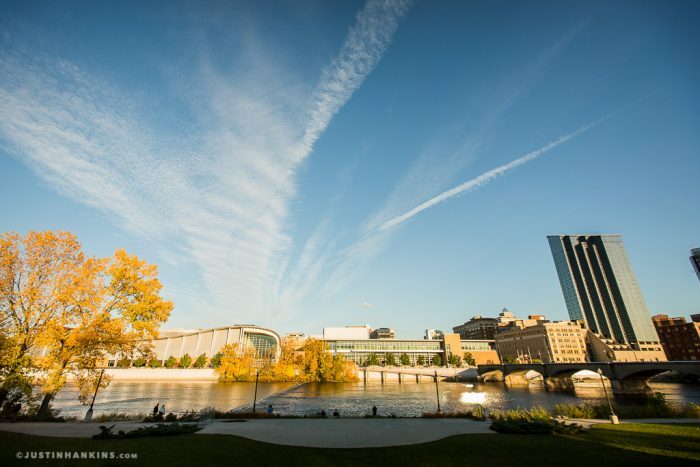 We lucked out with both the weather and the foliage, catching downtown Grand Rapids in a beautiful canopy of fall colors. 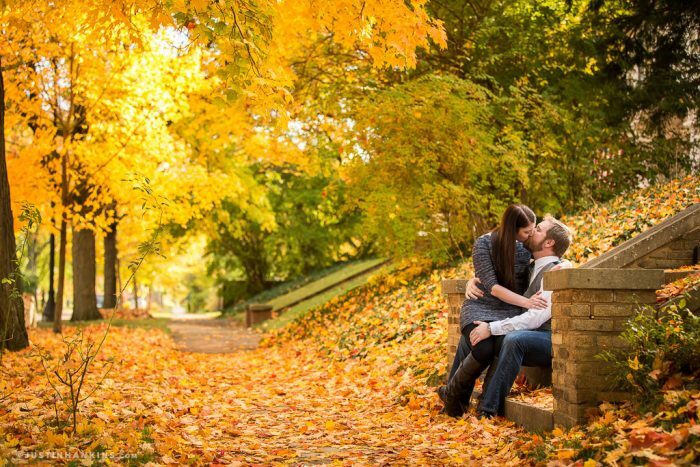 We began the day in a super secret undisclosed location before meandering through the neighborhood and taking advantage of the beautiful leaves. 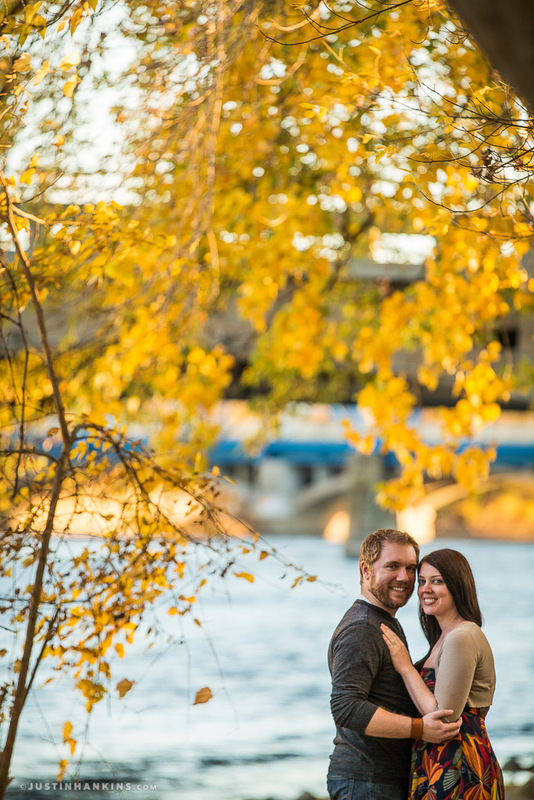 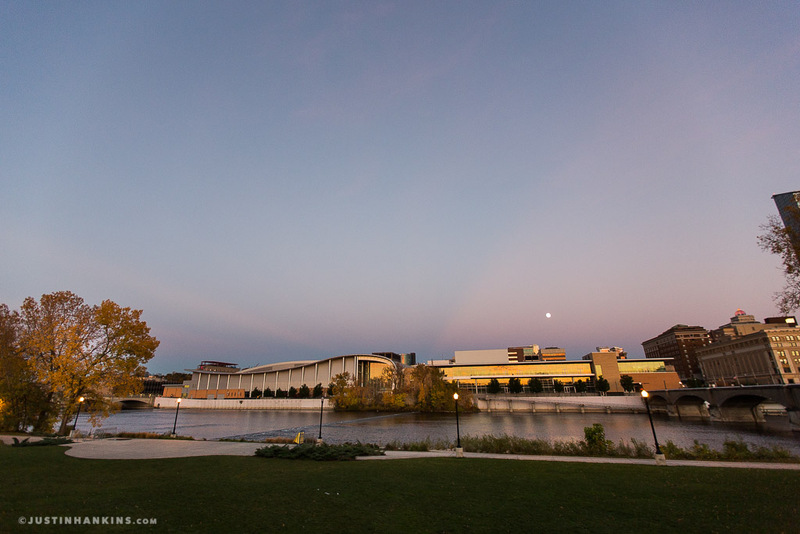 Shortly after, we moved downtown for some images along the banks of the Grand River. 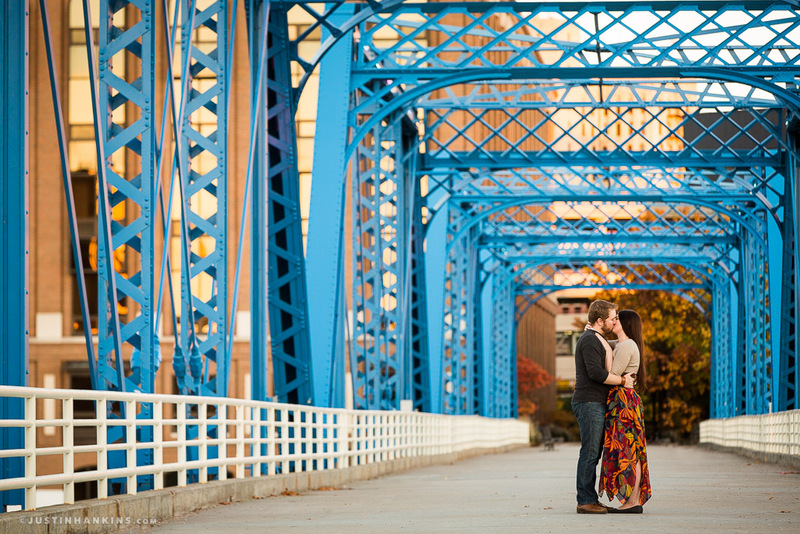 The Blue Bridge is such an iconic spot in Grand Rapids and we were treated to a rare few moments with the bridge all to ourselves. 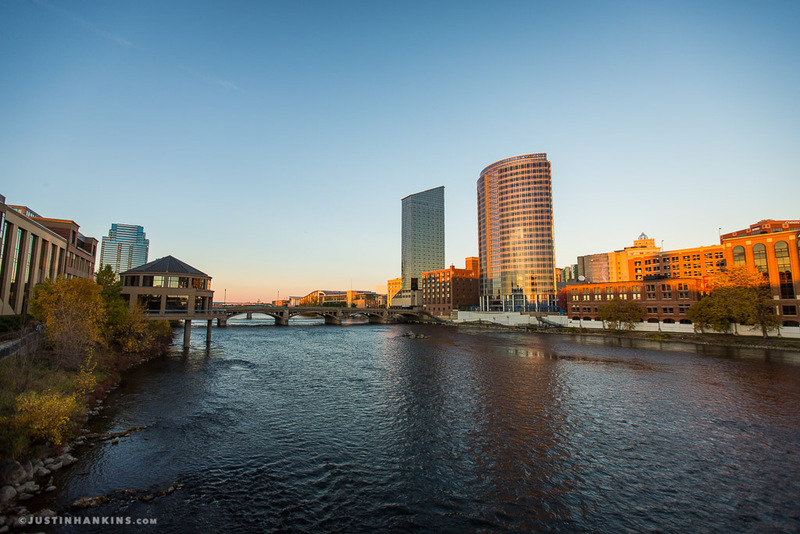 🙂 As we finished up the afternoon, we enjoyed a beautiful sunset and the downtown cityscape against the dusk sky.